Nova Ren Suma’s “The Walls Around Us” is a supernatural page-turner that centers on the murder of two teenage ballerinas. Jo Knowles’s “Read Between the Lines” is an impressively executed collection of overlapping narratives connected by one small action: lifting the middle finger. Even though these two new novels are hugely different in voice and style, they have core similarities. Both EXAMINE the internal COMPLEXITIES of their characters. Both take ugliness and show that with the right slant of light and the right words, the ugly can be rendered beautiful. 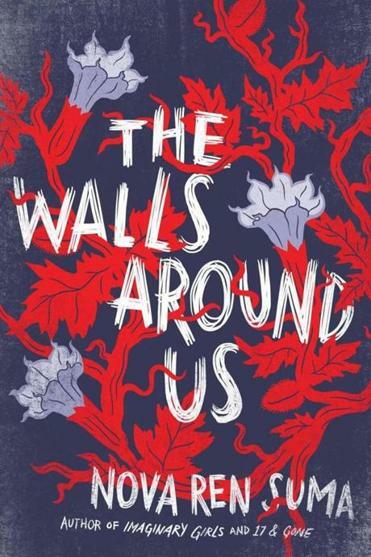 “The Walls Around Us” is, like Suma’s “17 & Gone” and “Imaginary Girls,” about female friendships and the darkness hearts can harbor. In her story, some people are guilty and damnable, and some are innocent and good — and the ones who fall in between are simply innocuous. This stark character classification isn’t a flaw, but rather, a demonstration of Suma’s fantastic writing. Her images, even the horrible ones, linger like dust and glitter after an epic stage performance. Three years ago, two best friends, ballerinas Violet “Vee” Dumont and Orianna “Ori” Speerling, were found standing over the bodies of two other teen dancers. Both Violet and Ori were drenched in blood, but only Ori had a knife in here hands, and only Ori was found guilty and sent upstate. In Aurora Hills juvenile detention center, horrors are matter of fact. Ori’s grace and goodness distinguish her from the 41 other inmates and endear her to her cellmate, Amber, WHO HAS HER OWN DARK SECRETS. The novel’s denouement is operatic without delivering closure. But this is as it should be. A neat and tidy conclusion after a plot filled with ambiguities and cruelties would have felt like a betrayal. Reading Knowles’s “Read Between the Lines” right after Suma’s ghost story amplifies the former’s humor and gentleness. That’s not to say that Knowles’s novel about the way lives intersect and overlap in a small town is fluffy. Not at all. Rather, that the feel-good moments overpower the troubled ones. 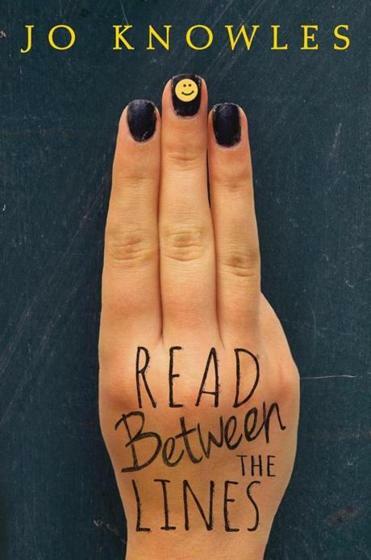 “Read Between the Lines” begins with bullied ninth grader Nate Granger discovering the power of flipping someone the bird when he breaks his middle finger. It ends with his lonely teacher realizing the emboldening boost of the gesture for herself. Like these two sections, the narratives in between use the middle-finger motif as a way to reveal and examine the characters’ fears, desires, doubts, and hopes. All of them long for something more while simultaneously struggling to figure out what “more” means. Some sections indulge in the overwrought and improbable. For example, when cheerleader Claire Harris, the object of many guys’ adoration, begins an afternoon wishing “to feel the significance of my own existence” and ends it having found “[t]hat something more to life I’ve always wanted,” her metamorphosis feels clunky. However, there are many scenes where well-worn phrases and sentiments come across as apt instead of inauthentic. Jack, an immature and painfully self-conscious dude’s dude, probably would admire his crush for being a “loner, even though she isn’t alone” and believe that he had made a truly original punning observation. The parts told from the perspectives of Lacy, a “solid” cheerleader; Dewey, a gym rat with simple but unlikely dreams; and Ms. Lindsay, a young teacher, are wonderfully sincere and affecting. When Lacy thinks, “I want to cry out. I want to scream. I want to kick and flail. But I am so alone on this dark bus,” her pain is visceral. Dewey’s desperate faith in the future serves as a powerful antithesis to his jerk bravado. And Ms. Lindsay’s Sisyphean effort to stay positive crushing day after crushing day represents the plight of new teachers everywhere. There is something very violent and nasty about flipping another person off. Perhaps it’s because the lines of a single lifted digit so perfectly represent the sharp ugliness of the words they stand in for. Nonetheless, Knowles makes the middle finger more than a lazy insult. Just as Suma shows how sweat, blood, and decay mean greater things than exertion and destruction, Knowles demonstrates how “the finger” can be a metaphor for empathy. A reminder that behind every rude gesture is a person with a story and that hearing that story will help each of us better understand our own.